Ashley Berlin is excited to announce Canadian artist Kristen Abdai for our 2016 Winter Residency Program. Beginning in January 2016, Kristen Abdai is given the opportunity to reside at the Ashley Berlin Residence for the duration of three months. Located in central Kreuzberg, she can now explore her practice in her live in studio and in engagement with local community. The artist will have an exhibition at the completion of her residency in May 2016. Kristen Abdai is a Canadian artist based in London, England. In 2015 she completed an MA at The Royal College of Art in London. 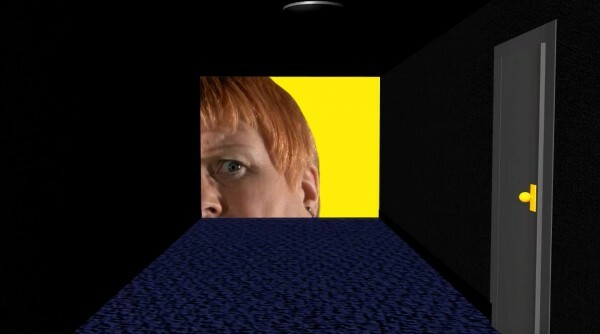 Working with a range of time based media including sound, video and performance, Kristen's research revolves around the semiotics in cinema, most particularly the face and the close-up. Working with isolated scenes, loops and often staging live interventions within her installations, she plays with themes of comedy and tragedy through the use of slapstick, horror and farce.